Capturing that precious moment in time when your baby is a newborn is something you’ll always be glad you did. They are that little for such a short period of time, and their faces and bodies change in the matter of just days. 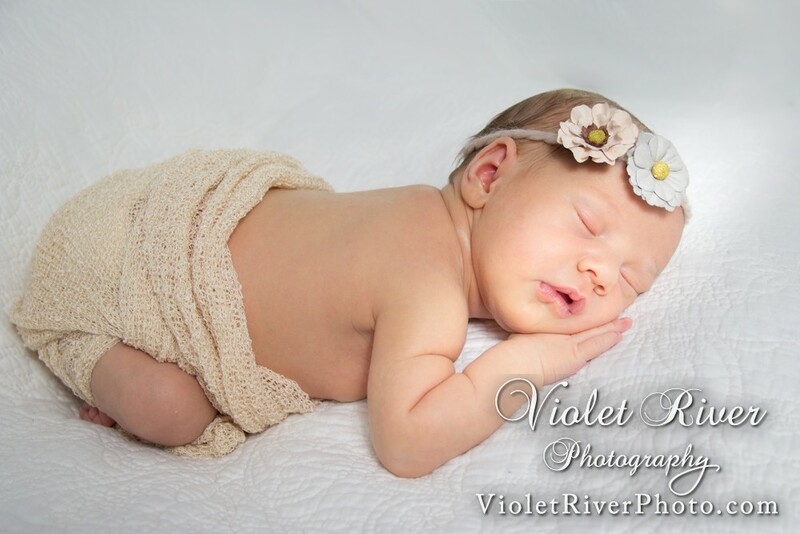 The best time to take newborn photos is when your baby is between 5 to 10 days old. Therefore, the ideal time to book this session is well before your due date, if not months before to guarantee availability. The studio is kept at 80 degrees to make sure your newborn is comfortable. You’ll probably be most comfortable if you dress in layers, as most adults prefer cooler temps. If we’re doing the session at your home, and you don’t keep it at 80 degrees or above, we can use a space heater to keep the area where we photographing warm enough. This warm temperature keeps the baby cozy and sleepy throughout the session. The session can take anywhere from 2-4 hours, as it’s all up to the baby. This allows plenty of time for cuddles and feeding if your baby is hungry. I will send you additional info on how to prepare for your session when you book. I look forward to capturing the moments that you will forever cherish. To see more photos of Newborns, visit the Newborn Gallery.